With high quality candleberry candles, 1803 soy based candles, battery operated candles, flicker flame candles and melting tarts, we guarantee you will find a fast favorite amongst our vast collection of candles. 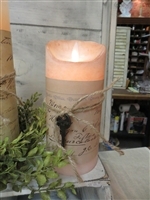 Our primitive flameless candles mesmerize and astonish with how realistic they appear. 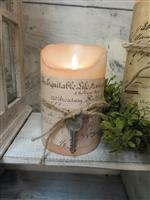 Battery operated with an on/off switch and automatic delay timer for on 5 hours and off 19 hours, these candles prove convenient and appear real without the hazards of a real candle. The plastic LED illuminated flame of these candles move and dance in a natural way, giving life to any room and making your friends, family members and neighbors envious. With a variety of scents to choose from and gift basket options, we guarantee your satisfaction with our country candle products.